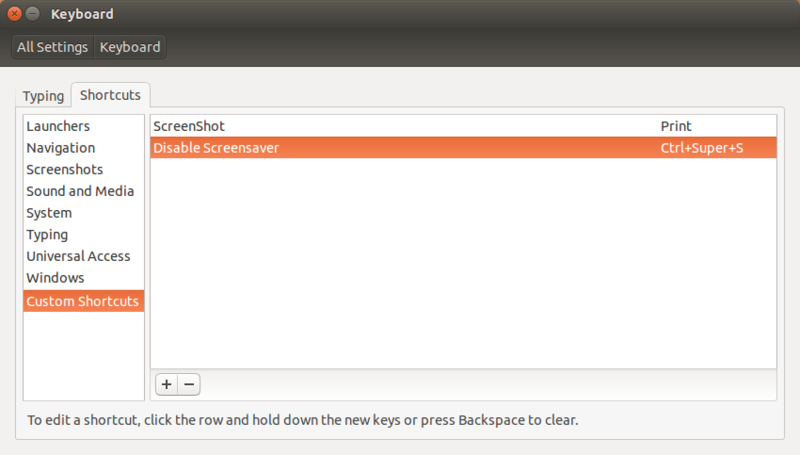 In Ubuntu Linux for some years there has been a great little utility to disable/enable the screensaver called caffeine. In the latest version the developer decided to remove the applet altogether from the tray. The application basically works in the background and detects if an application is in full screen or not. But as seen in this discussion here there are many of us that relied on that simple way of manually turning on and off the screensaver quickly. The developer is unwilling to revert back to the previous functionality, which he/she is entitled to do so. I have found a round about way to supplement the current functionality of caffeine by using custom keyboard shortcuts. Click on the “+”to add a new custom shortcut. Add the following to the command field: The “0” denotes zero seconds before the screen turns black, 0=never. After clicking “Apply”, you will see that the new shortcut says “Disabled”, this is because it does not yet have a shortcut assigned to it. Control key + the Win key + the letter “S”, but you can use what ever you like even “F” Keys. But keep in mind that if that combination is already used in one of the other shortcuts, they will take precedence over your shortcut. Now you MUST LOG OUT and log back in for it to take effect! You can verify that it works by disabling the screensaver with your new shortcut then opening the System Settings> Brightness & Lock and then close the window. 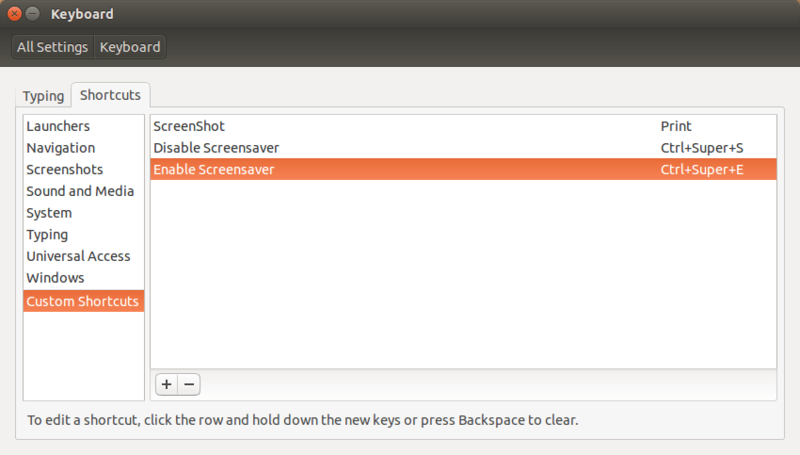 Then enable the screensaver and go back to Brightness & Lock and it should be enabled again. As I noted above, if one forgets to turn the screen settings back on, this can be remedied by adding a simple shell script at login. I recommend you create a directory in your home folder called “Scripts“, inside create a new document called “EnableScreen.sh“. 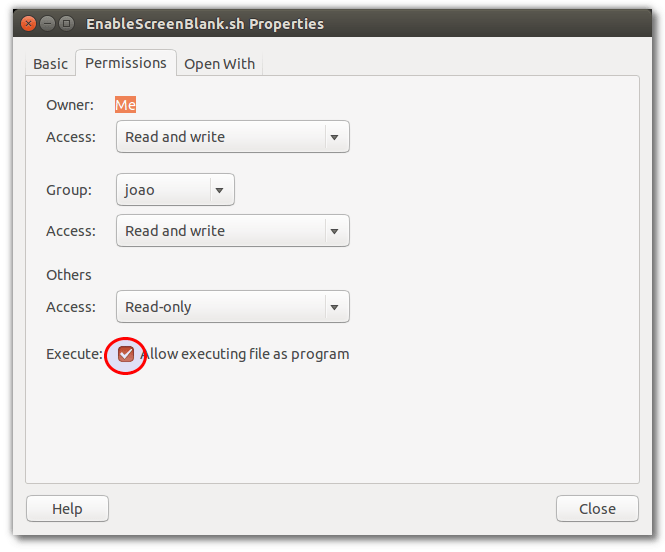 Save the document and make it Executable by right clicking on the file, go to properties and checking “Execute”. 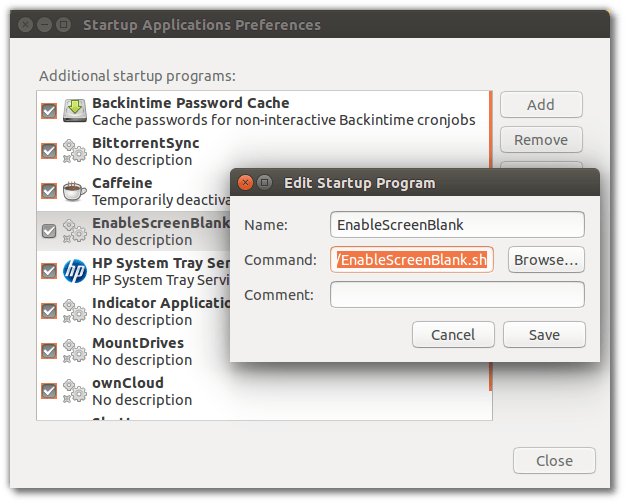 Then open the “Startup Applications” from your Applications and add a new command to run the new script. 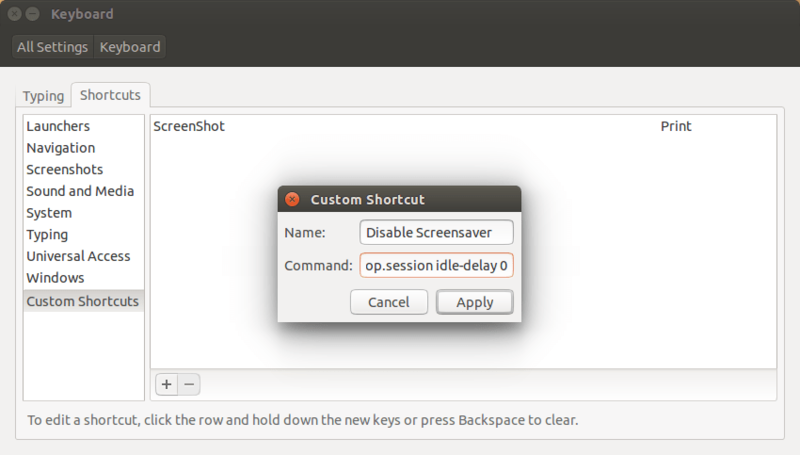 so if you want to change the setting, you have to change the script time. 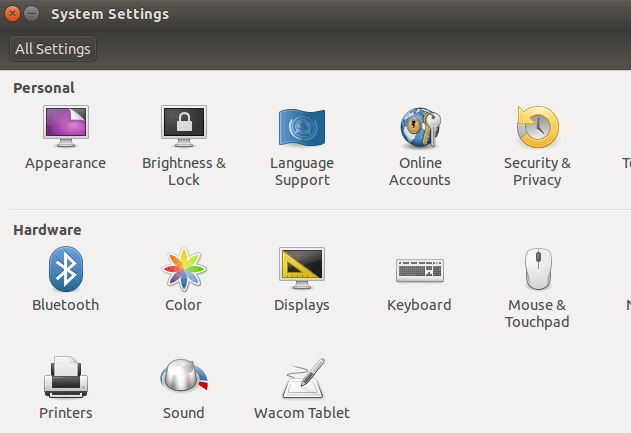 turn on or off the screen but in case you forget, it will reset on next login, reboot is not required, only to login. Someone should write a program that does this…sarcasm! 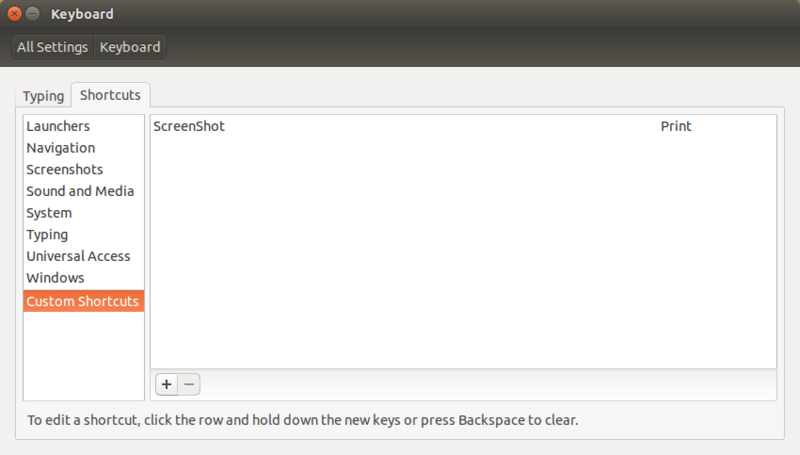 A fork of the original Caffeine 2.7 has been created which adds the deleted functionality. ‹ Floral Arrangement at Popes’ Canonization – Masonic Symbol? Thanks for this. 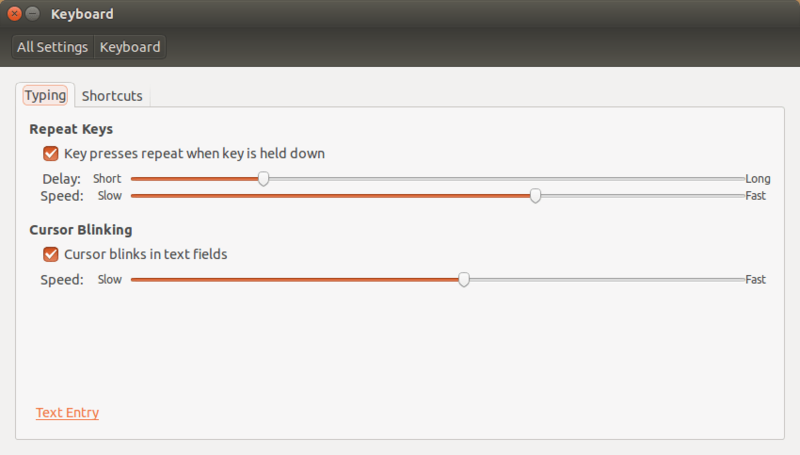 Adding the toggle is nifty, almost as nifty as Caffeine used to be!